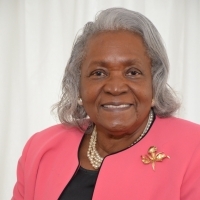 The Woman’s Auxiliary to the National Capital Baptist Convention of Washington, D.C. and Vicinity is made up of women from constituent churches who participate in particular missionary or Women’s Ministries within their individual churches. Membership is open to all who come and get involved. Our meetings are held quarterly on the third Saturday in January, April, July and October from 10 to 12 Noon. The correspondent secretary of the auxiliary informs churches or the missionary president if a change has occurred regarding the meeting date, place and in some cases if a call meeting will take place. The meetings consist of a spiritual devotion and testimonial period led by the Auxiliary Devotional Team; an inspirational message given by a minister assigned for that day; a business meeting and dismissal with prayer.